UPDATE 6: This also works for the new 4.10.209.0 (KB3209361) as noted here that version is released as REVISION rather than a new version. UPDATE 4: This also works for 4.9 (4.9.219.0) or KB3153224 as of 14.04.2016. It was again placed as noticed in UPDATE 3 of this article. UPDATE 3: This also works for 4.9 (4.9.218.0) or KB3106514 (no Support-Link as of yet) as of 08.03.2016 (08/03/16). 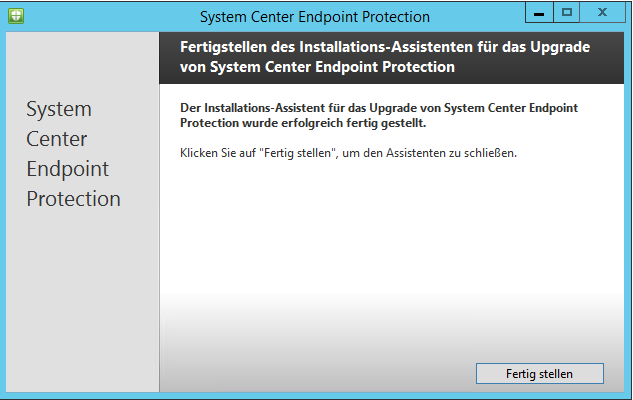 The update was conveniently placed in C:\Windows\SoftwareDistribution\Download\Install as SCEPInstall.exe for me. This of course makes it a lot easier. If you do not have this folder, the solution below still works. 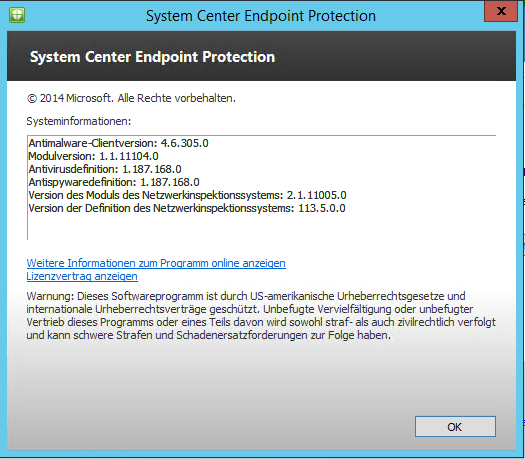 UPDATE 2: This also works for 4.8 (4.8.204.0) or KB3049560 as of 13.05.2015 (13/05/15). Hint: Finding the KB for this was mostly guesswork, since somebody at the WSUS-Department screwed up the KB. 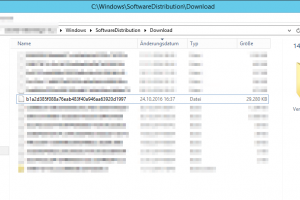 My WSUS and my SCCM is telling me the KB number is 304956 – note the missing 0. Size of the update is 8.44 MB and 8.65 MB on drive. THIS INSTRUCTION IS PROVIDED “AS IS” AND THE AUTHOR DISCLAIMS ALL WARRANTIES WITH REGARD TO THIS INSTRUCTION INCLUDING ALL IMPLIED WARRANTIES OF MERCHANTABILITY AND FITNESS. IN NO EVENT SHALL THE AUTHOR BE LIABLE FOR ANY SPECIAL, DIRECT, INDIRECT, OR CONSEQUENTIAL DAMAGES OR ANY DAMAGES WHATSOEVER RESULTING FROM LOSS OF USE, DATA OR PROFITS, WHETHER IN AN ACTION OF CONTRACT, NEGLIGENCE OR OTHER TORTIOUS ACTION, ARISING OUT OF OR IN CONNECTION WITH THE USE OR PERFORMANCE OF THIS INSTRUCTION. – You have been warned.